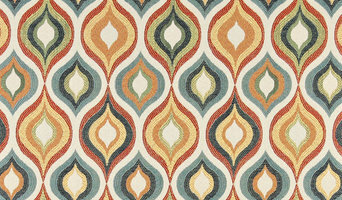 Palazzo fabrics provides thousands of top designer fabrics and faux leathers. You may have looked everywhere for the perfect fabric, but we assure you, the search stops here! A family owned business for three generations, we were started in 1952 by Elliott Gensler as an upholstery shop in Minneapolis, Minnesota. 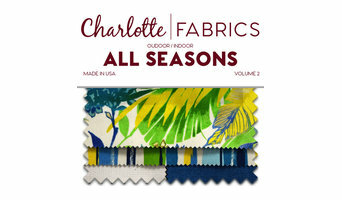 Later evolving into Charlotte | FABRICS - a wholesale distributor of decorative upholstery fabrics and vinyls, we stand strong as a national leader in our field. Founded circa 1961 in Minneapolis by Robert Colbath and serving the entire metro area, our Elk River-based business, Colbath Upholstery Services, has long been a name associated with high quality, skilled custom upholstery and related services. Now, more than 50 years later, our family legacy is still going strong. Owned and operated by Jeff Colbath and his wife, Cheryl, we have built a solid reputation as a trusted authority in custom upholstery, sewing, and design. With decades' worth of expertise and experience in projects ranging from residential and commercial upholstery, restaurant and bar seats, hotel and office furniture, car interiors, boat interiors and covers, recreational vehicles, prototyping, design, and more, there's little we can't handle. And now with son, Justin, and daughter, Leah, working alongside Jeff and Cheryl as third-generation members of the crew, it looks like Colbath Upholstery will continue as a family tradition for the foreseeable future. Excel Interiors, a family owned and operated business, has been transforming furniture since 1957 in the Chanhassen / Minneapolis area. Eugene Smasal bought the business in 1957, because he wanted to settle down when his son, Dave Smasal, was born that same year. Eugene settled down in the small town of Hopkins, MN operating the family business. Dave started working in the industry every day after school learning the trade. In 1984, Dave bought the business from his father and continues to provide high quality service now in Chanhassen, MN. Excel Interiors specializes in re-upholstery and refinishing of furniture for residential and commercial customers. If you are looking to bring new life to your old furniture or just want to give your existing furniture a completely new look – Excel Interiors offers professional design advise and has one of the largest fabric selections in the Twin Cities. Da Vinci Restoration repairs and restores furniture and art, conserves antiques, and specializes in restoring your family heirlooms. We are classically trained in the Smithsonian principles of restoration and conservation from the National Institute of Wood Finishing. Our painting restoration expert is classically trained at the Palazzo Spinelli Firenze in Florence, Italy. Services offered: -Furniture refinishing and restoration -Oil painting cleaning, touch up and varnishing -Antique conservation -Restoration of family heirlooms At Da Vinci Restoration, our first priority is you. We guarantee that our work for you will be completed with courtesy, respect, and to the highest standards in the industry. Proudly serving Minnesota since 1963. Stripper's Furniture Restoration Inc. is your one stop complete furniture and antiques, repair and restoration service. 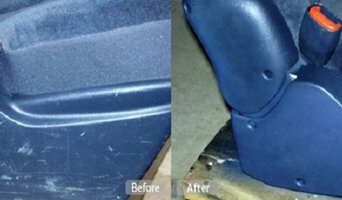 We offer paint removal, refinishing, repair, upholstery, and caning service. We sell Do-it-yourself supplies and offer free advice. We will take your piece from start to finish or do any part of the restoration process for you. Why should I hire New Germany, MN upholsterers? If you’re not quite sure what to do with your old furniture, try taking it to New Germany, MN furniture upholsterers and furniture restoration specialists to ask for their advice. Established upholstery services will be able to handle all sorts of fabric upholstery and reupholstery, including leather upholstery, and recommend the fabric that will work with your furniture and design theme. They will also be able to tell you about the durability of the fabric they will use and how to look after your re-upholstered item. Upholsterers deal predominantly with soft furnishings and furniture, such as sofas, padded chairs and padded headboards. For all other pieces of furniture that could be repaired or restored, there are New Germany, MN furniture restoration specialists to help you. They can help you upcycle that outdated sideboard into something modern and stylish, or repair your vintage dresser for you. You may find that lots of upholsterers offer furniture restoration and furniture repairers offer upholstery services, too, but always double check the exact services they offer and if they can help you with your furniture before hiring them. Upcycling furniture saves money and waste, and is ever popular in vintage or industrial styled homes, so consider upcycling any old furniture you find, with the help or advice or a furniture restoration specialist, if you want to add a bit of recycled charm to your home. Find furniture upholsterers in New Germany, MN on Houzz. Narrow your search in the Professionals section of the website to New Germany, MN upholstery and furniture restoration. You can also look through New Germany photos for projects similar to yours, and contact the upholsterers or restoration specialists for information.